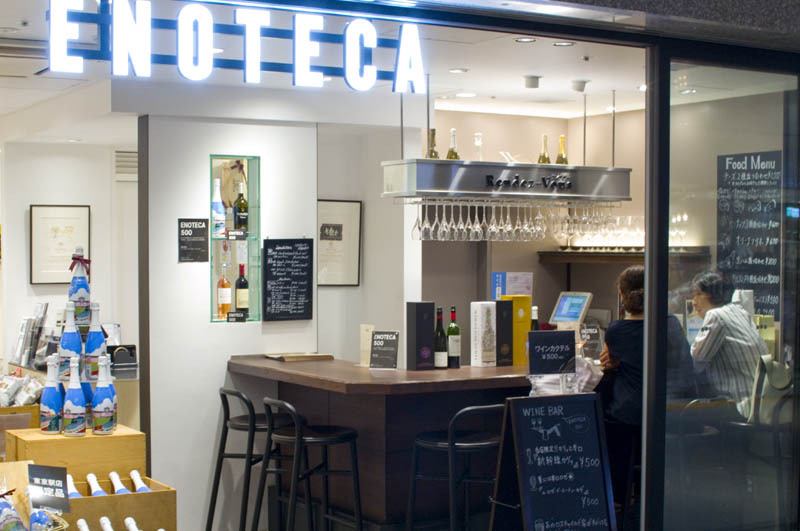 The small tasting bar at Enoteca wine shop is a convenient place to drop in for a quick glass of wine on your way to Tokyo station, with a decent selection of wines of the day starting at Y500 per glass. 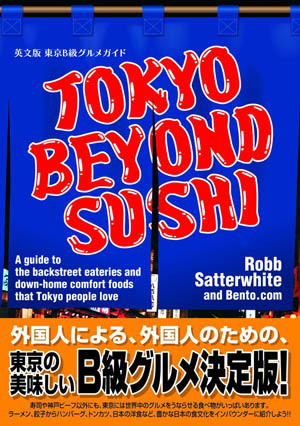 There are usually four wines at this price (including their house special "Shinkansen Cava"), plus another half-dozen or so fancier selections from around Y1200 per glass. 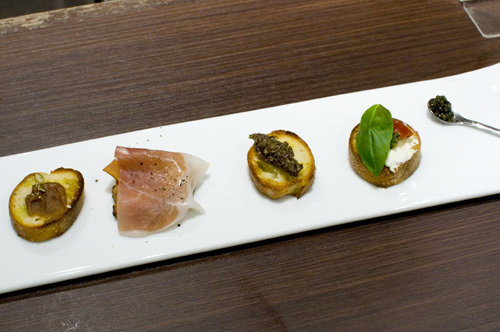 If you're a bit hungry, small but high-quality snacks include cured-meat platters and the assorted "Gransta Plate" (Y1200) with five wine-friendly delicacies, including caviar and a truffle-infused tapenade on bread. 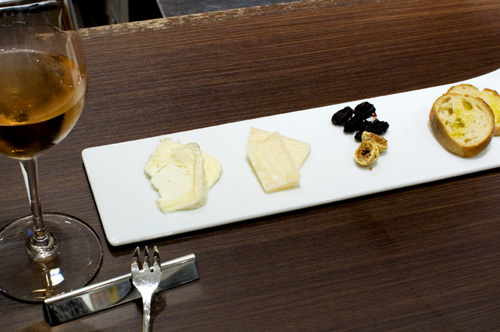 The cheese assortment (Y1000) is two cheeses of your choice (from four available), served with bread, olive oil and dried fruit. 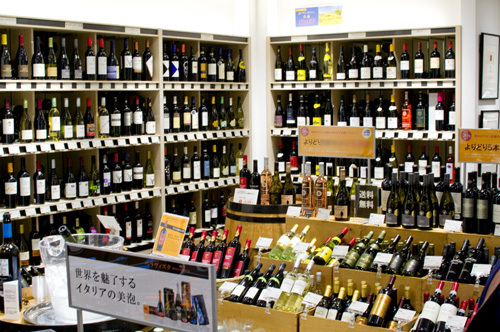 This branch of the popular wine retailer is located in the new (2017) Gransta Marunouchi underground complex between JR Tokyo station (outside the gates) and the Marunouchi line subway station. Chiyoda-ku, Marunouchi 1-9-1, Gransta Marunouchi B1F.